Classic button tufting and mid-century design come together to create your new mid-century sleeping oasis. 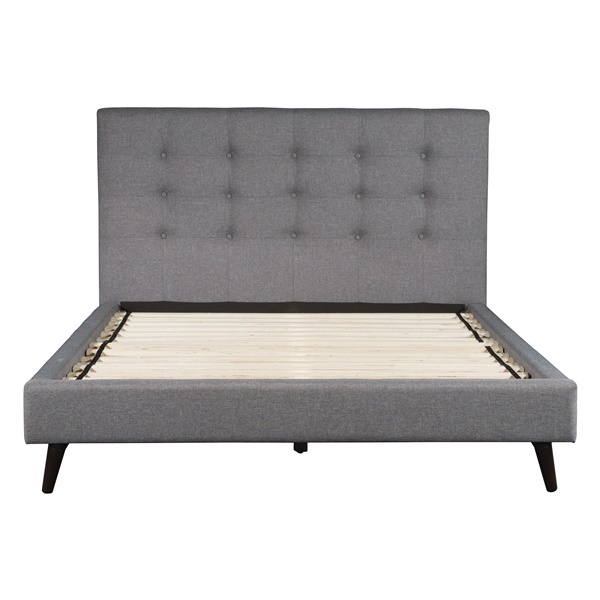 The Modernity Bed is expertly upholstered in a dove gray poly-linen fabric and detailed with classic button tufting and is available in either queen or king size. Its supportive slat system and angled legs will keep you supported for long lasting use. How tall is the bed? What';s the distance from floor to top of slats? The height from the floor to the top of the slats is about 12". The height from the floor to the top of the side rails is about 14". The Modernity Bed does not require a box spring.